Baltimore is a good city to start your dream career with. With a booming and progressive economy opens up more opportunities for business start-ups and for those who want to start building a solid career in the city for different industries and sectors. Indeed there are lots of companies to work in Baltimore, but it’s not wishful thinking to actually work on the city’s best places to be employed. To start, check out the article written by Ken Iglehart, Micah Castelo, and Rebecca Kirkman in Baltimore Magazine as they listed the best companies to work in Baltimore for the year 2019. Given the usual cycle of economic booms and busts, we know this won’t last forever, so treasure the moment: It’s an employee’s job market out there, and companies looking to hire are increasingly upping the ante with better pay, benefits, and perks to get your attention. Our best places to work survey received hundreds of nominations this year, and we wouldn’t blame you for assuming that tech firms led the pack. However, the nominees included a range of sectors, from nonprofits, marketing, and manufacturing to health care and even the restaurant industry, which most people don’t normally associate with high job satisfaction. Companies this year wowed us with perks such as generous vacation time, fat tuition-reimbursement checks, affordable health care, and profit-sharing. And many of the winners put a premium on things like cool work spaces and just having fun. So after you check out our list of Baltimore’s best places to work, you may decide it’s time to trash some old tweets and roll out the résumé. What they do: Event planning and continuing education technology. Why we like them: Unlike many software development companies, Attendee Interactive wasn’t founded by tech geeks—it was the brainchild of hospitality industry vets looking for a better way to manage the seemingly ever-growing demand for conference management software, despite shrinking manpower. Over 18 years, what started as simple event- and meeting-planning software has grown into a suite of technology offerings including dynamic conference planning and e-learning initiatives. Best benefits: Work-life balance is more than just a career-day cliché here—employees can work from home one to two days a week, and during the summer, there’s an option to work longer shifts and enjoy three-day weekends every third week. 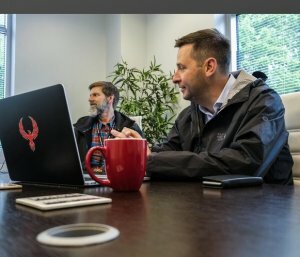 The team gets nine paid holidays off, with extra days thrown in throughout the year as surprises. There’s also an employer 401k contribution and 100-percent remote workplace between Christmas and New Year’s. Perhaps the best perk? No last-minute scrambling to pack lunch, thanks to an office kitchen stocked with groceries for breakfast, lunch, and snacks. What they do: Inner Harbor transportation. 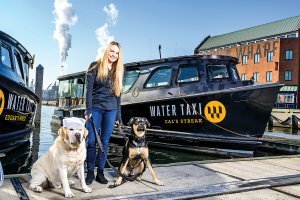 Why we like them: Since its 2016 purchase by Sagamore Ventures, Under Armour founder Kevin Plank’s private investment firm, the Baltimore Water Taxi has overseen modernizations to its fleet, including new boats equipped with WiFi, GPS tracking, USB charging plugs, and better heating and air conditioning. The boats have long been popular with tourists, but the changes are part of a broader plan to attract more local riders, including a private charter option, fare membership plans, and partnerships with the Sagamore Pendry hotel and Sagamore Spirits distillery. Best benefits: Employees say the company’s Canton headquarters is laid-back and dog-friendly (on any given day there may be as many as three dogs running around the office), while deckhands, captains, and technicians value the opportunity to spend days working on the water. Team bonding experiences, including happy hours, pizza parties, and birthday celebrations, are frequent—a recent dog birthday was celebrated with a dog pizza party on one of the boats. Majority of these mentioned companies as the best places to work in Baltimore are those who have achieved huge success over the past years or the time where the huge number of tourists are flocking the city all year round. More than their popularity and earnings, which makes them the best places to work are the benefits they offer to their employees, the paid holidays, the work-life balance, among others. These companies ensure that their employees are working free from stress and other distractions. 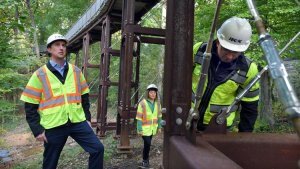 The reason behind this awesome employee benefits offered by these top Baltimore companies is that they’re doing that little extra effort to take good care of their employees. David Greisman of The Baltimore Sun featured this good company trait. Read to learn more. Taking good care of their employees is among the top priority of these companies as they want as much as possible to make their employees become more productive at work, giving their 100% effort all the time without the feeling of getting stressed. These practices have positive results for most of the companies, as productivity and earnings are definitely increasing. There are still more good, better and best places and companies to work in Baltimore. While some of them aren’t as popular as those previously mentioned, they are still great places to work as well for they offer awesome benefits and perks for their employees. Carley Milligan of BizJournals compiled the list of these Baltimore companies. Check them out below. Here they are: The 40 local companies that have been named finalists in the Baltimore Business Journal’s Best Places to Work competition. There are plenty of new names in the mix this year with companies spanning multiple industries and cities in the Greater Baltimore area. But they all have one thing in common, their employees love working for them. Best Places to Work is an annual award and publication by the BBJ that uses a months-long nomination process and an employee survey on workplace satisfaction collected by our partner, Quantum Workplace. After completing the survey, Quantum gives each participating company a numerical score based on the results. The companies are divided up into four categories based on size — micro, small, midsize and large — and ranked from first to last place based on their score. The winners will be announced at a celebration at the Hilton Baltimore on May 17. They will also be featured in a special publication on May 18. Below, you can see the top 10 finalists in each category listed in alphabetical order. You didn’t think we would give away the 1st, 2nd and 3rd place winners that easily, did you? The list of these companies goes on and on, which means that majority of the companies in Baltimore always prefer to take good care of their employees by providing them the stress-free working environment and great benefits to balance work and life activities. Baltimore is the perfect city to start a career, pursue or dream or just simply find a job. Baltimore’s economy is progressing upwards, opening more opportunities for businesses and employees alike. If you want to know more about the different work opportunities in the city, visit https://www.dependablehomebuyers.com/maryland/baltimore/ to learn more.